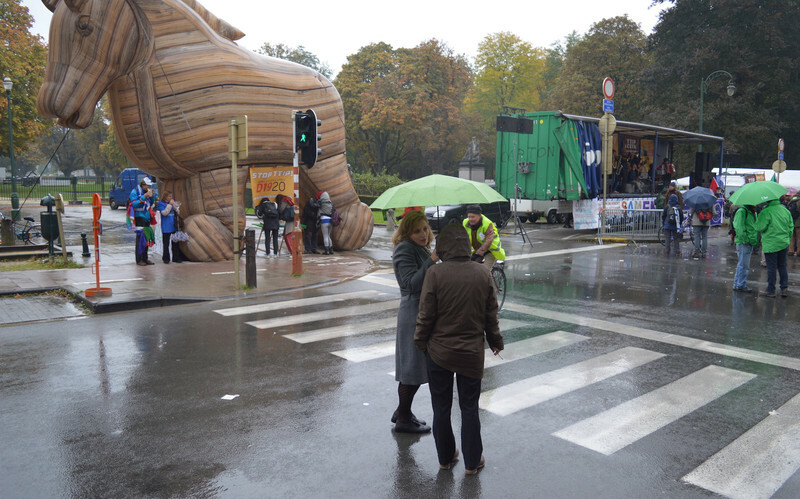 Manon Cruls and Jean-Baptiste Voltuan found shelter from the rainy Brussels afternoon underneath the head of a blow-up trojan horse on Thursday (15 October), as they took a break from their protest. The object of their anger is twofold, as expressed on a sign Voltuan had temporarily set aside, so that he and Cruls could eat their sandwiches. “Stop TTIP, stop austerity”, it said. 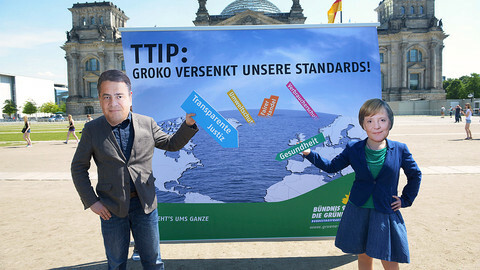 TTIP refers to the Transatlantic Trade and Investment Partnership, the free trade treaty being negotiated between the European Union and the US. The next round of talks is scheduled for next week. The 11th round of discussions in Miami will focus on market access, such as determining rules on the origin of products and tariff elimination. But to the protesters, the treaty could become a trojan horse watering down EU rules on issues like food safety and health, hence the blow-up figure at the entrance of the Parc du Cinquantenaire at the end of the Rue de la Loi in Brussels' EU neighbourhood. Cruls and Voltuan do not trust the people negotiating on their behalf, including European Commission president Jean-Claude Juncker. “When Juncker was working as prime minister of Luxembourg, he was helping his friends to hide money”, said 57-year-old Cruls. “Luxleaks!”, Voltuan, 58, added, referring to the scandal that emerged last year around the sweetheart deals that the Luxembourg tax authority had given to multinationals during the time Juncker was PM. “We can't trust them. The gap between citizens and [the] elite is growing, which is dangerous”, noted activist Voltuan, with colourful ribbons wrapped around his body, a Guy Fawkes mask and a bee-themed beanie hat on his head. Voltuan, a Frenchman, and Belgian Cruls, had become friends online, and decided to go to the protest together, which is the final stage in a range of protests in European cities that began in Gibraltar on 1 October, entitled EuroMarchas. 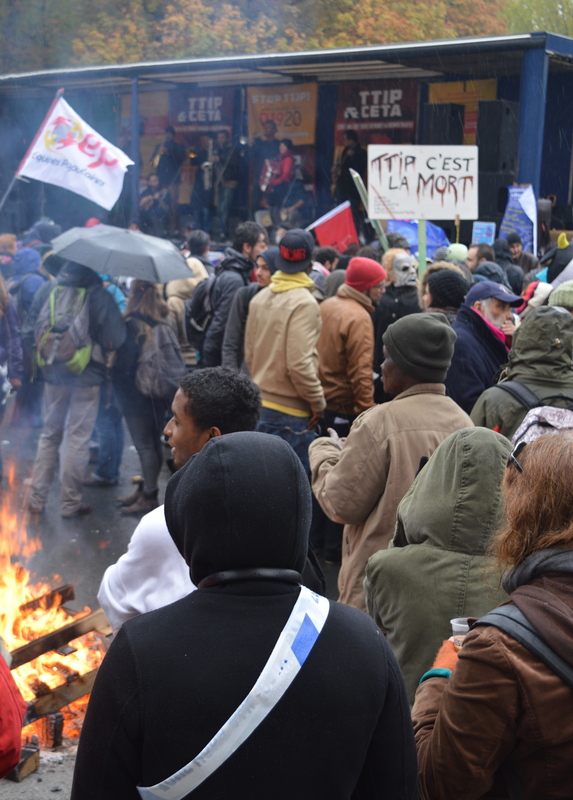 The movement is not only against TTIP, but also against “the brutal imposition of the neoliberal order based on the totalitarianism of financial powers, the primacy of money over popular sovereignty, the privatisation of public services and the transformation of citizens into customers”. More demonstrations under the flag of EuroMarchas are planned for Friday and Saturday. “United we save the world!”, Voltuan said with a smile, as around a hundred others listened to a band playing ska music on a stage. He noted that at the beginning of the protest, before the rain, there were more people. 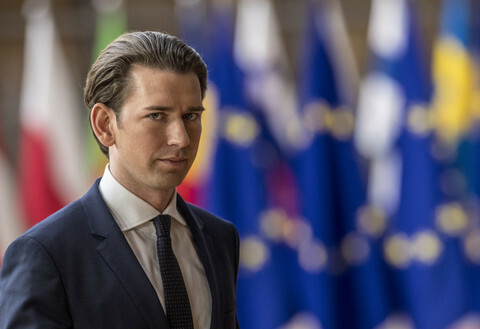 The music and speeches were barely audible in front of the European Council building, where EU government leaders are convening for a summit on Thursday. Police had cordoned off a larger than usual area for unaccredited persons, scattering the protesters over different locations. 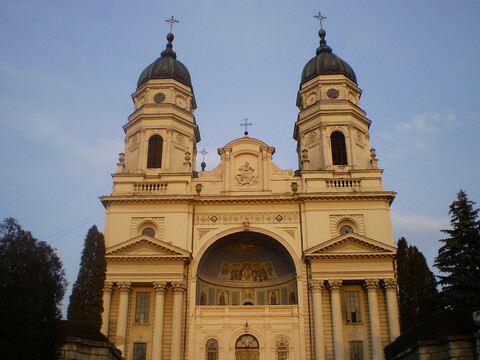 “They are afraid of us”, Cruls said of the politicians. But both are confident that the government leaders will become aware of the protest, as they had seen television cameras filming them. Last week, the US finalised its negotiations on the Trans-Pacific Partnership (TPP), a trade deal with 11 countries, including Mexico, Australia, Canada, Japan, Vietnam and Singapore. 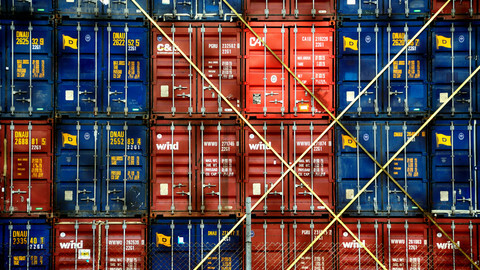 The TPP is a less ambitious agreement than TTIP, but its conclusion puts pressure on the EU not to lose out on the free trade deals shaping global trade. “After the TPP deal, it will be possible to intensify negotiations with the US”, said an EU official familiar with TTIP talks on Thursday. Half of the treaty has not yet been negotiated, and the 12th round is scheduled to take place at the end of January or the beginning of February. Officials are hoping that they can conclude the talks with the Obama administration before January 2017. 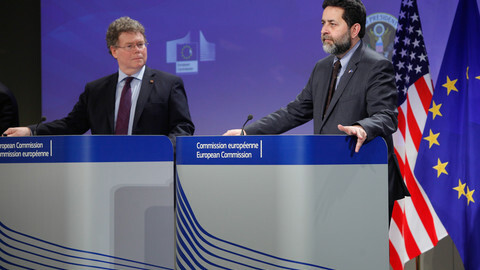 If the deal can be clinched before Obama leaves office, “it would be very positive,” said a European Commission source. 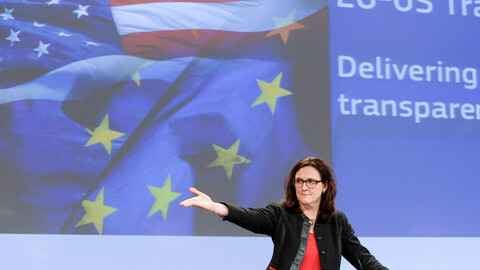 Progress or groundhog day after two years of TTIP? 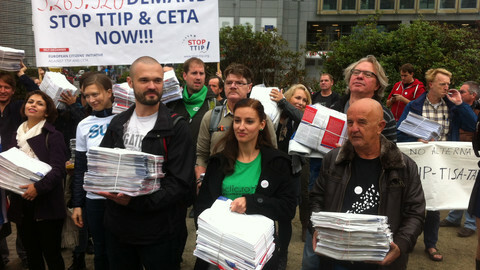 Activists opposing the EU-US free trade pact have collected 3mn signatures in a petition. But their appeal won't be dealt with. French trade minister Mathias Fekls said free trade negotiations could stop if there is no 'serious offer' from the US to the EU. Talks aimed at agreeing an EU-US trade deal hit the two year mark last week, but the debate isn't moving forward. Twelve countries including the US have signed a free-trade pact which could act as the model for a future EU-US trade accord. The EU has proposed to the US that there should be a chapter on labour rights and environmental protection in their free trade agreement. German ambassador in Washington files formal complaint after Bundestag members in Berlin were denied access to documents on EU-US free-trade agreement.